Whats my ip . ip information Terlimolvingring . On the morning of April 20th, a 7.0-magnitude earthquake struck Ya’an City, killing hundreds and rendering thousands homeless. Ya’an sits within Lushan in Sichuan Province, just 280 km away from Wenchuan — another quake-stricken county that was just beginning to recover from its previous earthquake devastation five years ago. The trauma and memories are fresh and wounds still hurt from the last disaster, Sichuan people are once again left to face the cruel trials of nature, as the death toll and casualties soar by the hour. Tens of thousands of victims are in dire need of medical attention and aid. 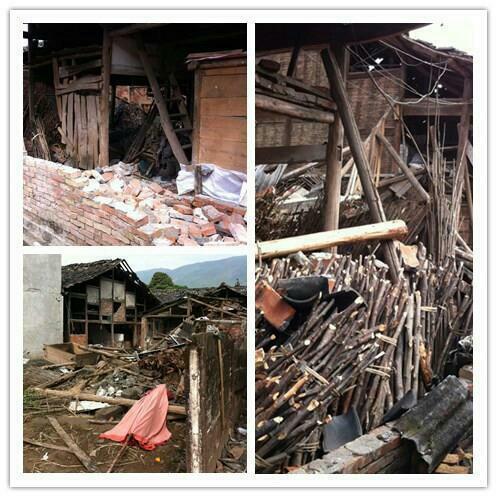 Qi Chuang sees this disaster as its current primary mission and wants to respond immediately to this call to rescue. Riding on our previous relief operation experience in Wenchuan, within hours we have assembled our first rescue team of four local social workers and a supervisor from Hong Kong. They have joined the rescue party of the Sichuan Provincial Civil Affairs Department to Ya’an City. locate ip . Meanwhile, 15 social workers in Qi Chuang Guangdong, remain on stand-by to backup frontline service if necessary. Similar to our past operations, Qi Chuang relief workers have to supply themselves with daily necessities and carry the heavy bulk of relief materials (including medications, food, disinfectants and other supplies) on their own. Qi Chuang also has to bear the travel expenses and all other expenses of its workers during this mission.